We went as a party of 5 (went to the cash machine first since they don’t accept card) and picked 7 dishes that weren’t super scary. 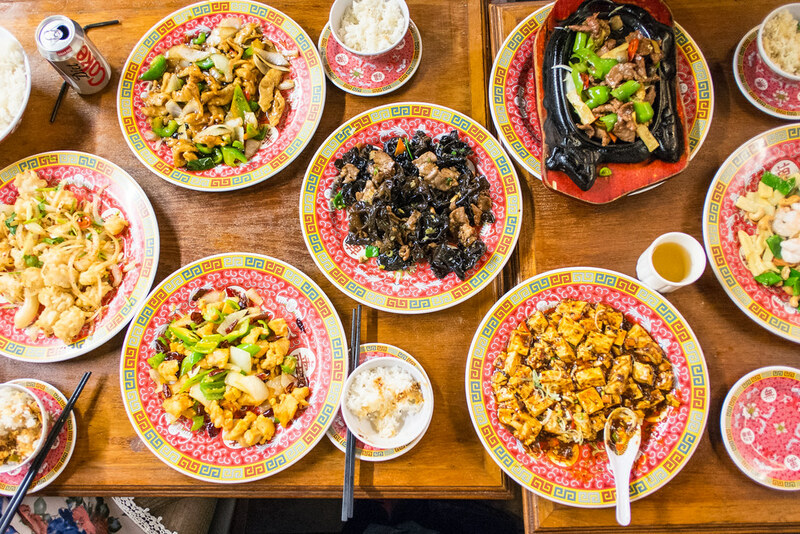 Dishes include (from left to right): Garlic salt deep fried squid, 2 chicken and chilli dishes (one in black bean and one just dry chillis), pork and black fungus / wood ear / jews ear / argaihiahcihric, beancurd and seafood shichaun style, sizzling beef and finally a prawn and cashew nute dish. I may have consumed 4/5 bowls of rice. Had to order 2 extra portions for everyone else.